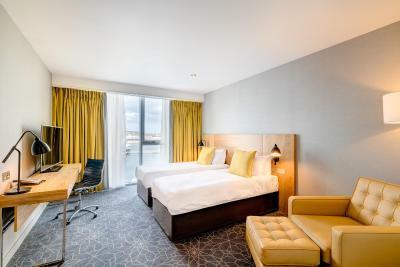 Lock in a great price for Apex City Quay Hotel & Spa – rated 9.1 by recent guests! The staff were exceptional and went the extra mile to ensure we had all we needed. The room was large and comfortable. 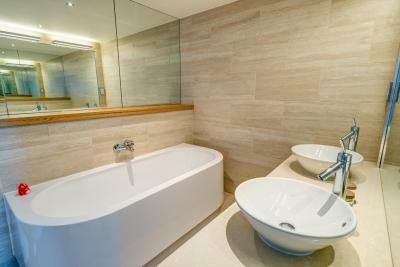 The beds were very comfortable and the room and ensuite spacious. There was nothing to fault....Accommodation and Spa facilities were both excellent. 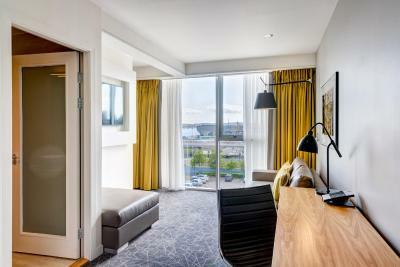 Room was spacious, clean and with a good view over the new dockland area. Food in the restaurant was of a high standard and all staff are to be complimented on their attentiveness and pleasant helpful manner. Everything apart from the breakfast. Due to school holidays the hotel was very busy. The staff were unable to cope, therefore used plates were left lining. Clean plates which I thought should have been warm/hot were cold. This is minor as our visit was great. Staff were excellent and really tried their best to accommodate all our requests. Hotel was much better inside that it looked from the outside - a lovely surprise. 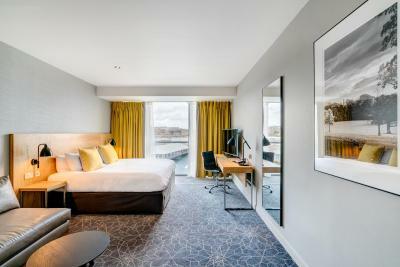 Apex City Quay Hotel & Spa This rating is a reflection of how the property compares to the industry standard when it comes to price, facilities and services available. It's based on a self-evaluation by the property. Use this rating to help choose your stay! 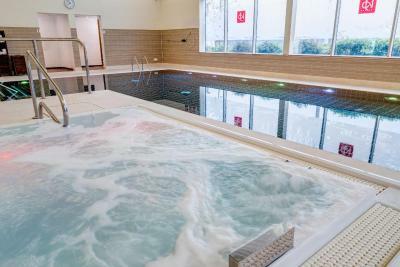 In Dundee’s City Quay and 5 minutes' walk from the city center and 0.6 mi from the V&A Dundee, the luxury Apex City Quay Hotel & Spa has a Japanese-themed spa, a bar and restaurant. 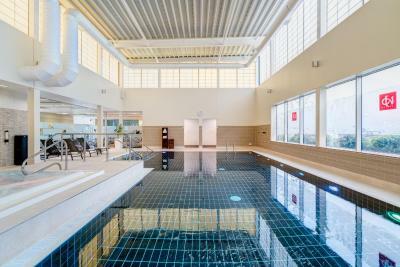 Guests can enjoy free use of the spa, pool, and gym. 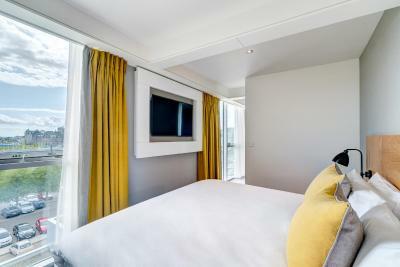 With free WiFi, the spacious rooms have a 42-inch LCD TV. 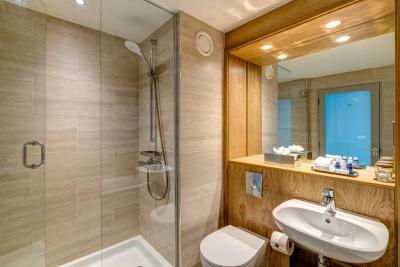 All rooms have stylish décor, with a bathroom including luxury toiletries and a power shower. There is 24-hour room service available. 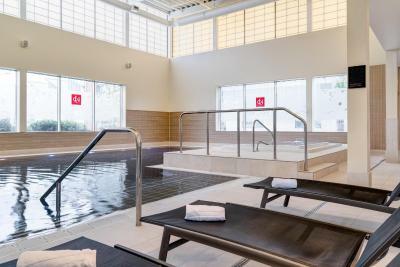 The Apex City Quay features a range of leisure facilities, including the Technogym and Yu Spa. 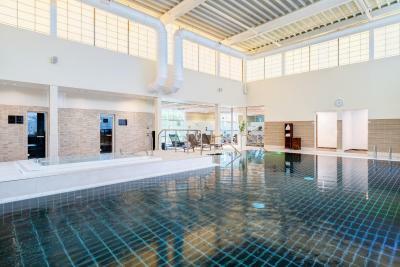 The Spa includes an ozone pool, sauna, hydrotherapy hot tub, and Elemis Spa treatment rooms. 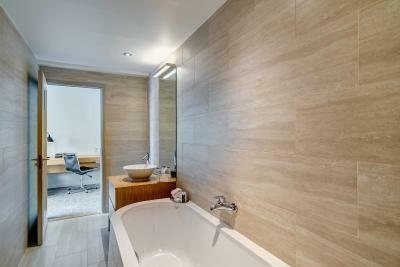 Spa treatments are bookable at an extra charge and there is a couples treatment room available. World famous St Andrews golf course is 20 minutes’ drive away. The V&A, RRS Discovery and Caird Hall are less than a 10-minute walk. Guests at the Apex City Quay Hotel & Spa have restaurants and designer shops on the hotel doorstep. 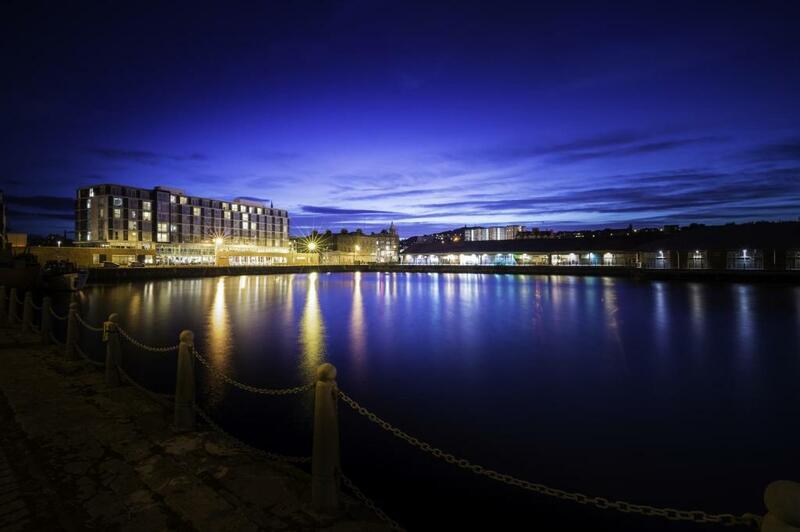 With great views of the Dundee waterfront, Metro Bar and Brasserie offers international cuisine in informal surroundings. 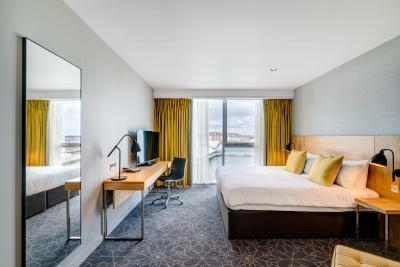 When would you like to stay at Apex City Quay Hotel & Spa? 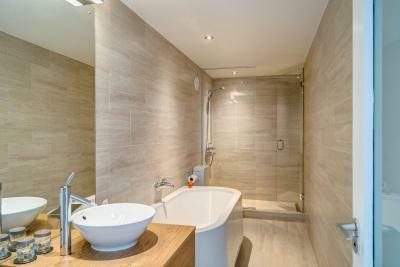 This room features 2 single beds, a bath and walk-in shower, free WiFi and local calls. 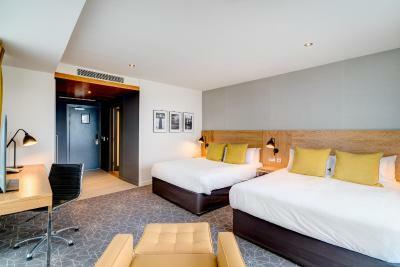 Additional features include a 49-inch TV with Freeview, complimentary mineral water, tea and coffee making facilities, mini fridge, safe, iron and board. 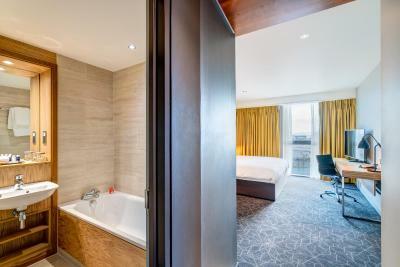 A king-size bed, bath and walk-in shower, free WiFi and local calls are featured in this room. 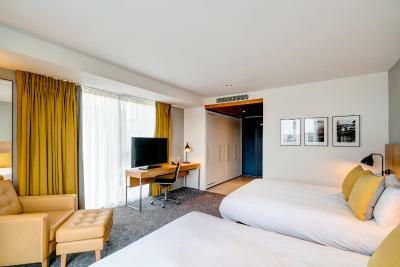 Additional features include a 42-inch TV with Freeview, complimentary mineral water, tea and coffee making facilities, mini fridge, safe, iron and board. Please note this room cannot accommodate extra beds. 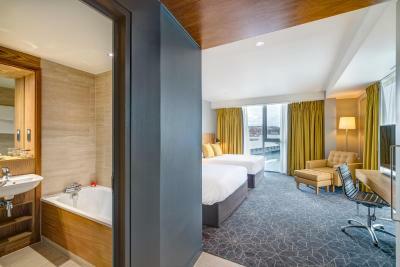 With views across the quay, this room offers a king-size bed, bath and walk-in shower, free WiFi and local calls. 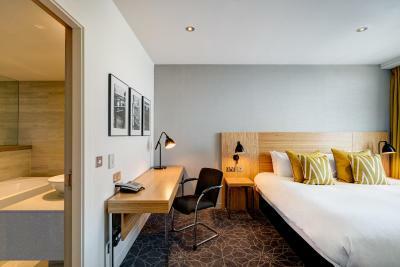 Additional features include a 49-inch TV with Freeview, complimentary mineral water, tea and coffee making facilities, mini fridge, safe, iron and board. 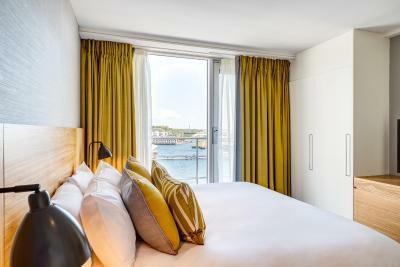 With views across the quay, this room offers 2 single beds, a bath and walk-in shower, free WiFi and local calls. 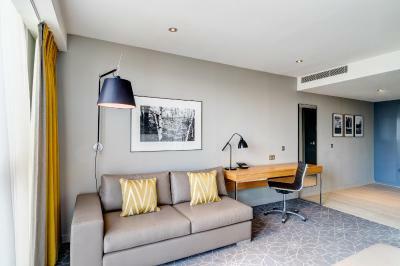 Additional features include a 42-inch TV with Freeview, complimentary mineral water, tea and coffee making facilities, mini fridge, safe, iron and board. 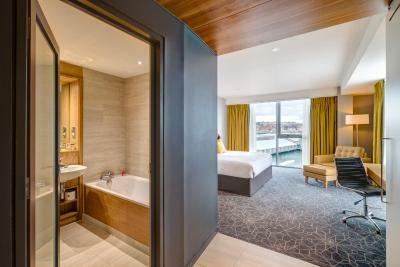 With views across the quay, this spacious room offers a king-size bed, bath and walk-in shower, bathrobes and slippers, free WiFi and local calls. 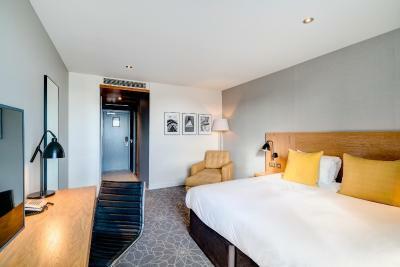 Additional features include a 49-inch TV with Freeview, complimentary mineral water, tea and coffee making facilities, mini fridge, safe, iron and board. 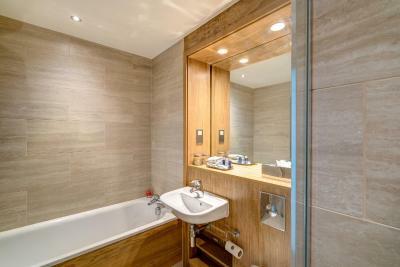 This suite offers a king-size bed and separate living area with sofa, a bath and walk-in shower, bathrobes and slippers, free WiFi and local calls. 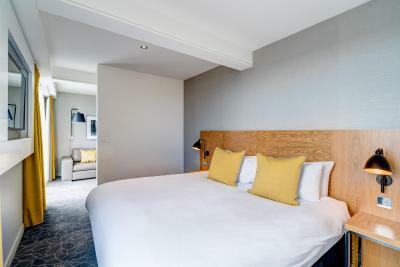 Additional features include a 49-inch TV with Freeview, complimentary mineral water, tea and coffee making facilities, mini fridge, safe, iron and board. 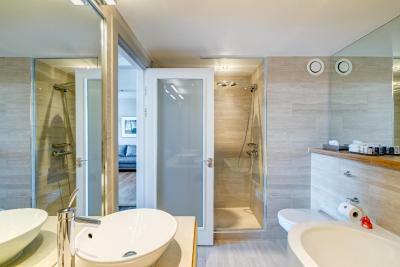 This suite offers a king-size bed and separate living area with sofa, a bath and double-headed walk-in shower, bathrobes and slippers, free WiFi and local calls. 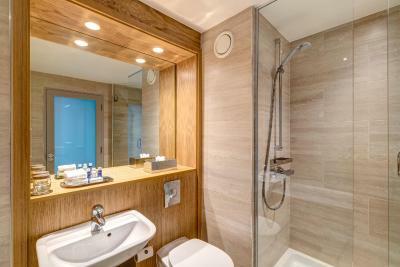 Additional features include a 49-inch TV with Freeview, complimentary mineral water, tea and coffee making facilities, mini fridge, safe, iron and board. 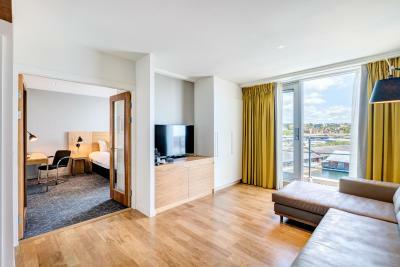 This room overlooking the quay includes 2 double beds, a bath and walk-in shower, free WiFi and local calls. 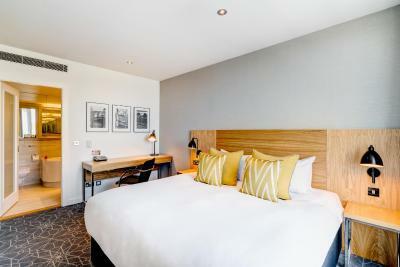 Additional features include a 49-inch TV with Freeview, complimentary mineral water, tea and coffee making facilities, mini fridge, safe, iron and board. 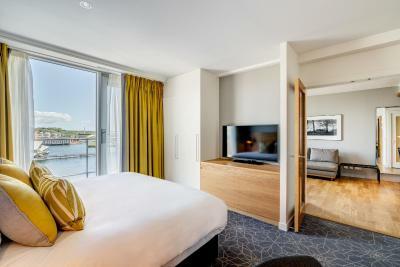 This room overlooking the quay includes 2 double beds, a bath and walk-in shower, free WiFi and local calls. 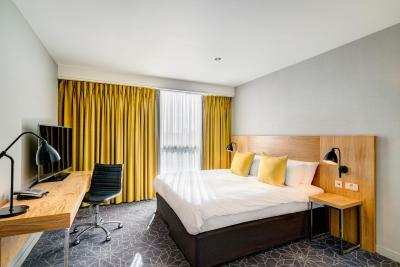 Additional features include a 42-inch TV with Freeview, complimentary mineral water, tea and coffee making facilities, safe, iron and board. 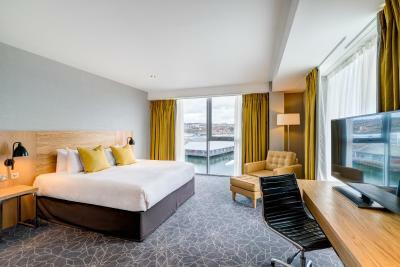 House Rules Apex City Quay Hotel & Spa takes special requests – add in the next step! Apex City Quay Hotel &amp; Spa accepts these cards and reserves the right to temporarily hold an amount prior to arrival. 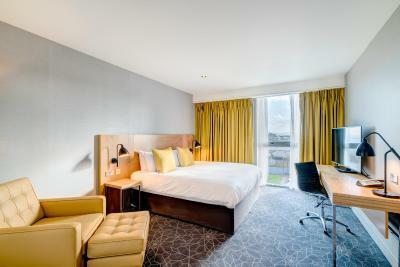 Apex City Quay Hotel & Spa accepts these cards and reserves the right to temporarily hold an amount prior to arrival. It is recommended that a restaurant table is booked before arrival, as the restaurant can be busy, especially at weekends. 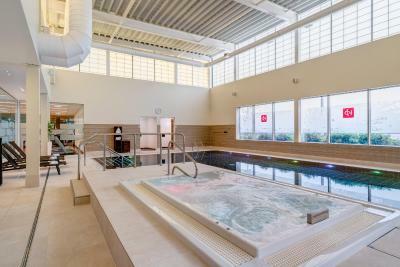 Guests aged 16 years and younger are allowed to use the spa facilities at set times, and must be supervised by an adult at all times. Hot water not hot enough in shower - was only lukewarm and would go cold. 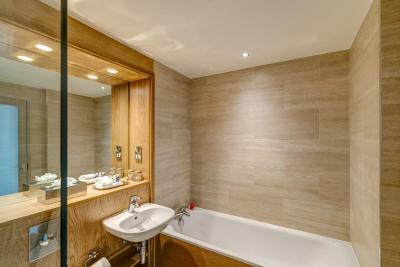 Great location, free parking, separate shower. Super friendly staff, close to shops and restaurants. Smart tv reception very patchy. 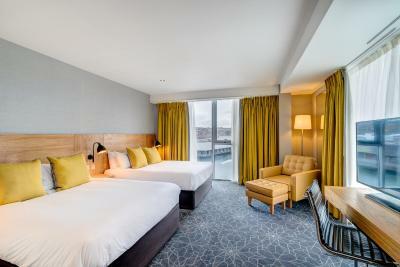 Great service, friendly staff and nice room views. The spacious parking option! Lack of cultural activities in the evenings. Watersports activity centre was fun to watch. 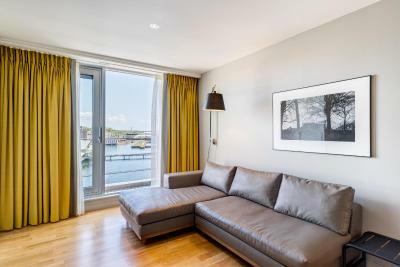 Closeness to town, V&A, Discovery and being close to the water. On arrival room was absolutely roasting hot due to weather and no air conditioning to help. Window only opens about an inch and a half so no help there either. Ordered coffee with breakfast but never arrived. 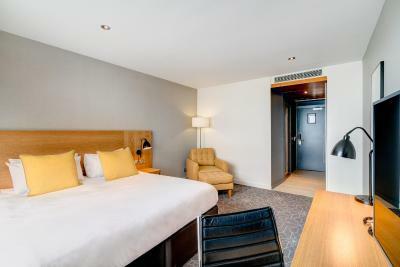 Good location, nice sized rooms, friendly staff, great service and food and drink. The price you are offering for breakfast would not pay as over priced. There were a number of minor issues: - Another socket on the other side of the bed would have been useful - The lack of surface space in the bathroom - The mugs provided did not fit the Nespresso machine provided, we had to make coffee in the glasses instead. - The cord on the hair drier wasn't long enough to use the mirror. - There weren't enough little milk cartons provided. - The food was a little disappointing, cooked breakfast wasn't hot enough and some of it had clearly sat for a while (potato scone was like cardboard). There wasn't a good enough choice of bread rolls at breakfast time.